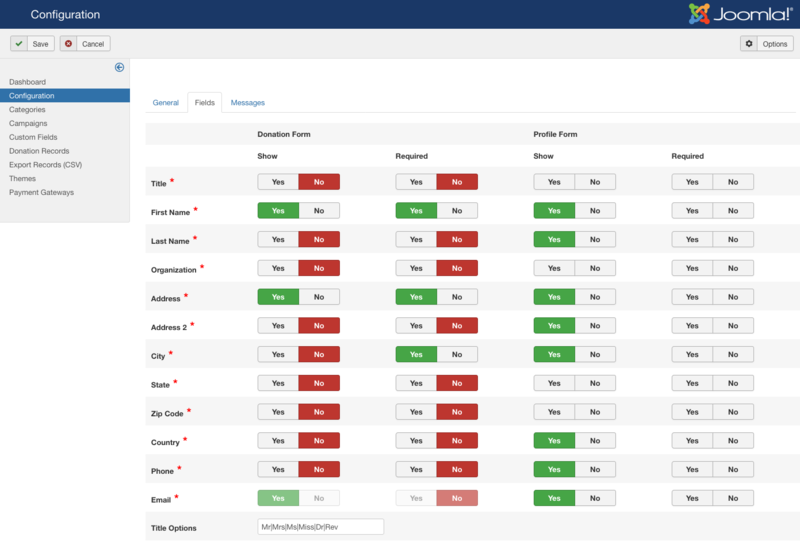 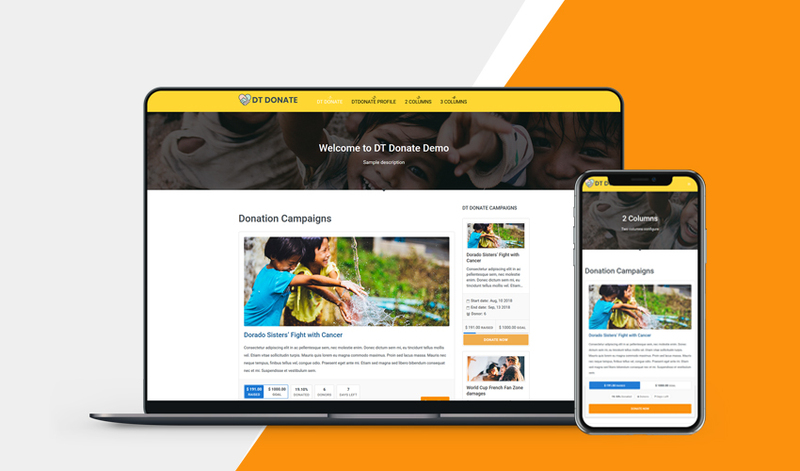 DT Donate 4.0 allows admin to create unlimited Donation campaign category and Donation campaigns and support to show the donation campaigns in list view with flexible layout. 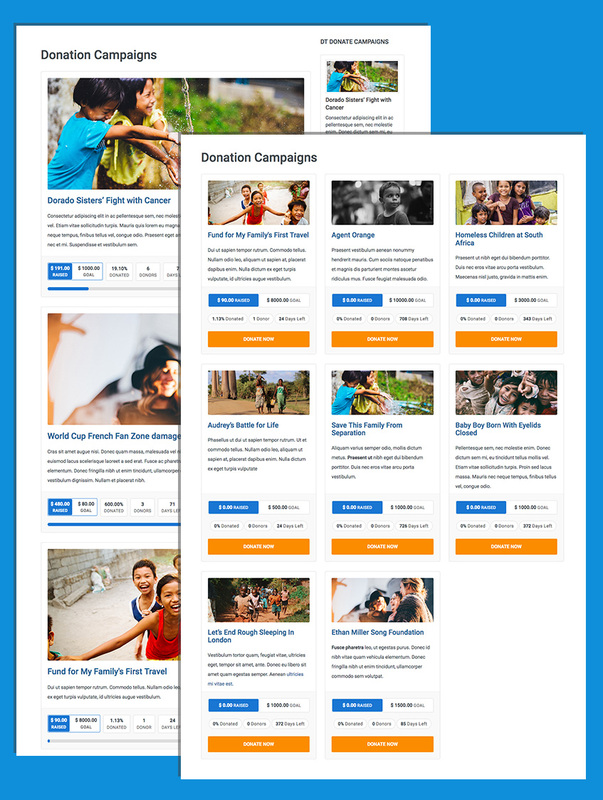 Each donation campaign includes title, description, start date, end date, donation goal, minimum amount, maximum amount, donation intro image and full image, pre-defined donation amount. 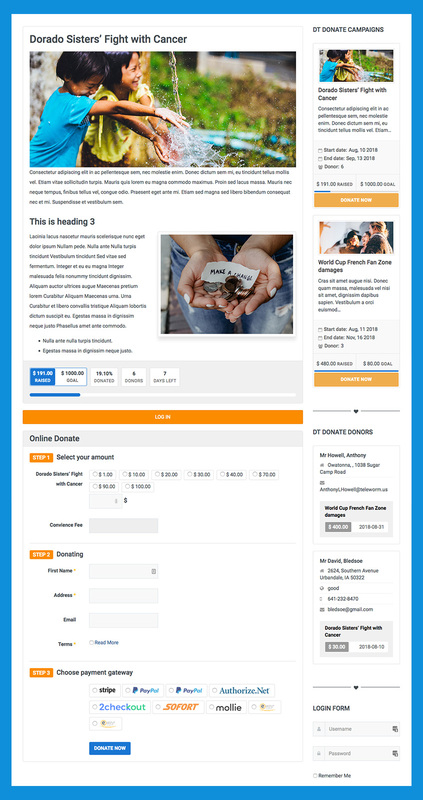 Donnor can view and select to donate for specific campaign. 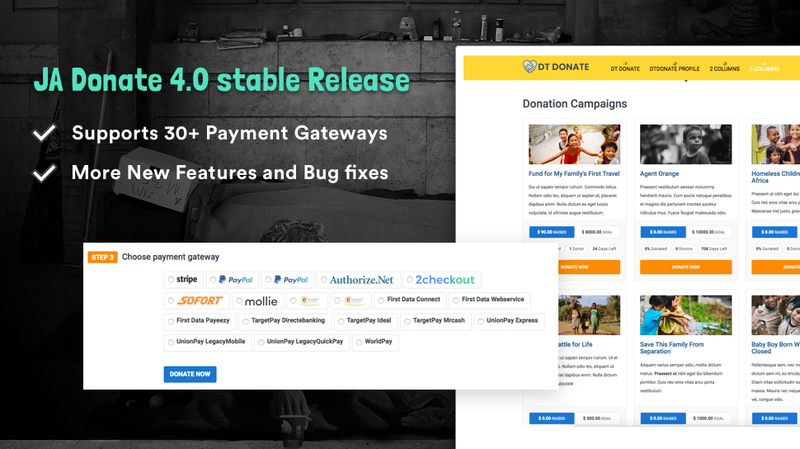 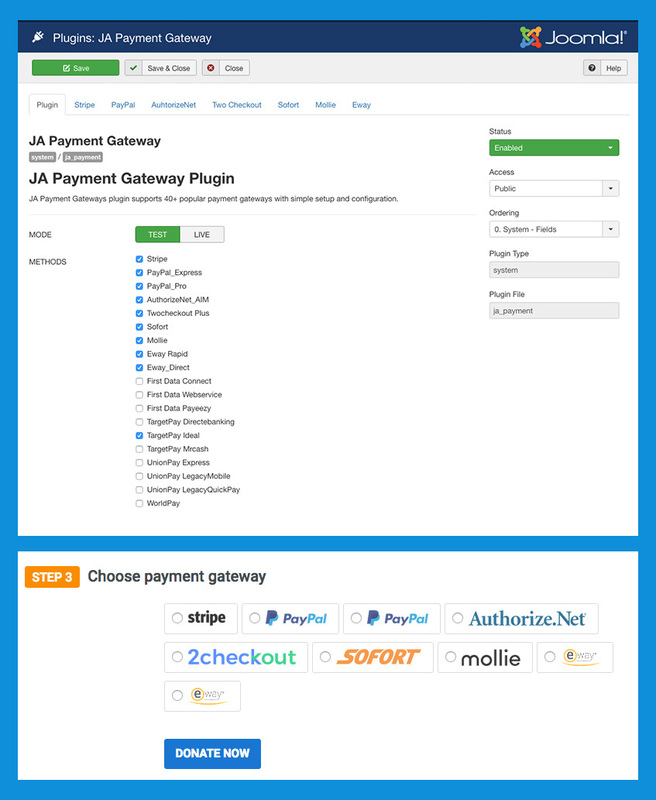 DT Donate 4.0 now supports responsive, every page loooks great on all supported responsive layouts: Desktop, Laptop, Tablet and mobile. 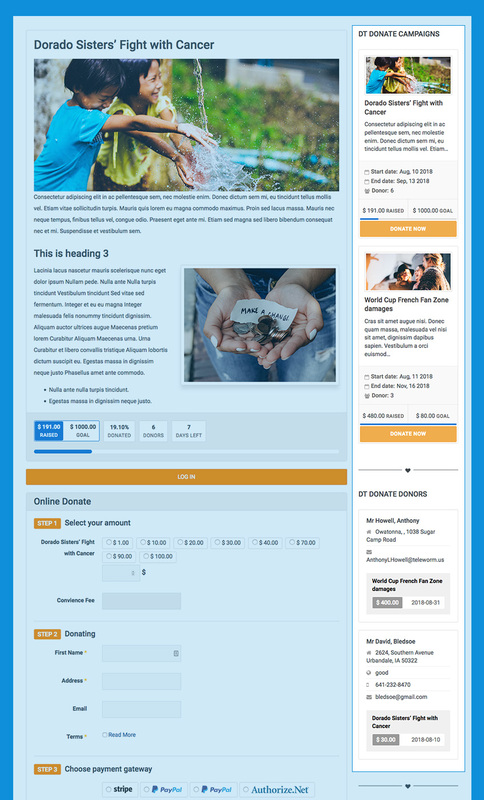 Its design, UI/UX is improved alots to make it looks really clean and nice.